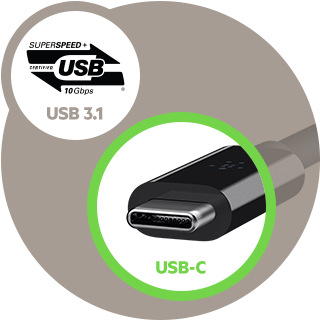 USB-C, also known as Type-C, is the latest connector developed by the USB Implementers' Forum (USB-IF), a group of industry leaders within the consumer electronics community, such as Apple, Intel, Dell, and Belkin. As many of the world's most recognized manufacturers are supporting this new technology, it is likely to be widely adopted. With such support, USB-C will gradually replace previous USB types, including USB-A, USB-B and USB Mini-B. Plus, as future devices are equipped with the new USB-C port, which is smaller than its predecessors, it's likely these devices will also be thinner and lighter than ever before. With so much to offer, USB-C is good news for consumers. It's been developed to be simpler to use, meaning no more moments of: "which way does it go?" "am I putting it in the right port?" "is it upside-down?" The cable of tomorrow is here today, and with such widespread support across the industry, the days of throwing your cable out every time you get a new device are over. All the major tech companies including Apple, Google and Microsoft, are embracing USB-C, which means one day your mobile devices will be able to share accessories. USB-C is smaller than its predecessors, which means USB-C devices like laptops and tablets, will likely be thinner and lighter. WHAT DOES A USB-C OR Type-C CABLE LOOK LIKE? The USB-C cable head is smaller than before, and looks a bit like a Micro-USB connector. Eventually this is the USB connector you'll use with your devices instead of using your existing USB-A, Micro-B, USB-Mini, or Lightning cable. WHY IS USB-C BETTER THAN EXISTING USB CABLES? Reversible Connector. 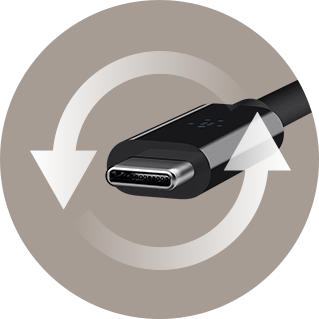 The USB-C, or Type-C connector is user friendly. There's no up or down orientation so it works regardless of which way you plug it in. Truly universal. Not just happy to work with smartphones, tablets, laptops, digital cameras, or anything that traditionally connects via USB, USB-C is also at home across different operating systems like iOS, Android, Windows, Google and more. Now that's a real game changer. It's really, really fast. USB-C can transfer data at up to 10Gbps (gigabits per second). Or an entire high definition feature-length movie in just 30 seconds. That's up to 20 times faster than USB2.0. More power. With up to 100 watts, or 3 amps of power, USB-C cables can power almost anything. From laptops to large high-resolution monitors, even some printers. 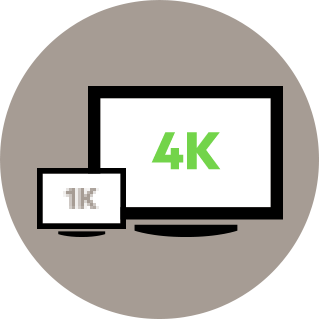 The 4K Ultra HD experience. USB-C cables can deliver Ultra-HD 4K video resolution to USB-C and HDMI displays. That's 4 times the resolution of standard high definition. USB-C isn't just a new development. It's a new standard. 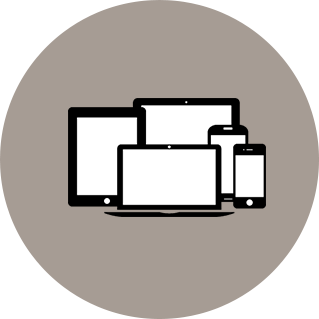 Which means that everything it promises — speed, ease of use, universality — can be applied to all sorts of devices. With this much potential, USB-C has another edge over existing USB cables: it'll be around for much longer. WHAT WILL I USE USB-C FOR? As the world moves toward USB-C, it doesn't mean you have to replace all your existing devices. (For more on this, see the WHAT'S BEHIND THE MOVE TO USB-C? section below). Your new USB-C device (such as a laptop) will still be compatible with all your existing devices (smartphones, tablets, mouse, printer, etc. ), you just need the correct USB-C cable or adapter. If you're not sure exactly which one you need, click here to use our Cable Finder Tool. WHAT'S BEHIND THE MOVE TO USB-C? Mountains of defunct cables in landfills across the world motivated action for reform. Tech companies the world over responded to new European regulations that called for a standard connector. The USB-C connector is being widely adopted by manufacturers including Apple, Google and Microsoft. With such widespread support from these market-leading manufacturers, it's only a matter of time before the new standard becomes the norm. The idea of new technology that embraces future proofing for environmental reasons is groundbreaking. 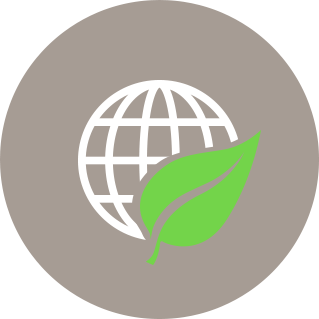 At Belkin, we are proud to be a part of this pioneering move toward an environmentally sustainable, tech-friendly future. Although USB-C and USB 3.1 were developed at the same time, they are not the same thing. USB 3.1 is an upgrade from the familiar USB 2.0, and more recent USB 3.0, offering significantly faster data transfer. USB-C is not backward compatible, however we offer USB-C cables and adapters for your every need. USB 3.1 is the new technology. The USB-C connector enables the functionality to support the new technology. USB Power Delivery, or USB PD, is a charging protocol that uses high speed USB-C connecters and cables. 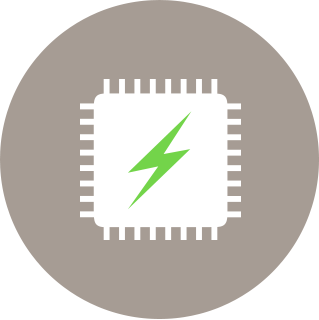 Smartphones, tablets, and laptops that are Power Delivery-enabled allow safe, faster charging and more power for larger devices, without the need of a separate power supply. USB PD will charge your smartphone up to 70% faster than standard 5W charging. You can even share power between USB PD devices.